When we want to slice the ball intentionally, I suggest making adjustments in your set up position rather than adjustments in your golf swing. So long as your swing is relatively on plane, I believe it is always easier to handle these specialty shots this way. We know that in order to impart slice spin, which will cause the ball to curve to the right, the club face needs to be open, or pointed to the right, relative to the path that the club is traveling on at impact. Also recognize that the less lofted our club, the more side spin we will be able to impart on the ball. For example, it’s easier to slice a driver than a pitching wedge. This will take some practice before we can control our intentional slice. Try laying the club down behind the ball in a position with the club face open, for example with the grooves of the club pointed toward our left toe. Now we take our normal grip and stance. It will feel like the club is twisted in our hands, but our grip itself does not change. The more open the club face is, the more it will slice. Clearly if we swing with the club in this position while aiming straight at a particular target, the shot will start to the right then curve more to the right. Try hitting a few shots on the driving range like this knowing you are going to miss your target. Take note as to where the ball starts and how much it curves. Once we recognize how far to the right these shots tend to go, we will need to adjust our stance to aim accordingly to the left. When we get this right, our stance will be aligned well to the left of the target, and the shot will start left of the target, slicing to the right and ending up at the target. 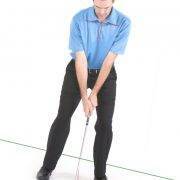 The goal is to make exactly the same golf swing as you always do, but with some of the parameters changed at set up. Intentional slices will tend to fly a somewhat shorter distance because we are adding loft to the club face and striking with more of a glancing blow. Also, these shots will tend to have more back spin and not run out as much when they hit the ground. 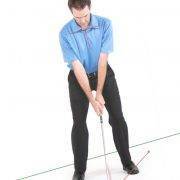 Practice with the different clubs in your bag, as they will behave differently from one another. 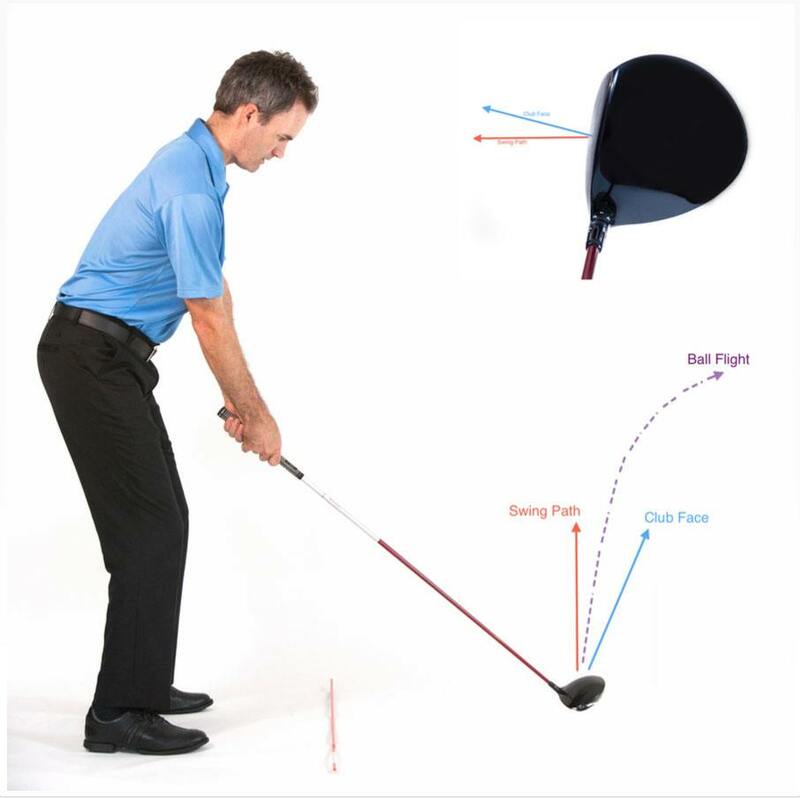 In summary, in order to slice the ball, we need to establish a club face position that is open, or pointed to the right relative to the path that the club is traveling on at impact. We lay the club open before taking our normal grip. It should feel like the club is twisted in our hands, but everything else is exactly the same as normal. Practice some shots on the range, taking note as to how far to the right the ball starts and finishes. We’ll need to aim sufficiently to the left in order for the ball to finish at our target. 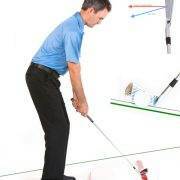 I suggest practicing with all of your clubs because they will behave differently based on the loft they each present.